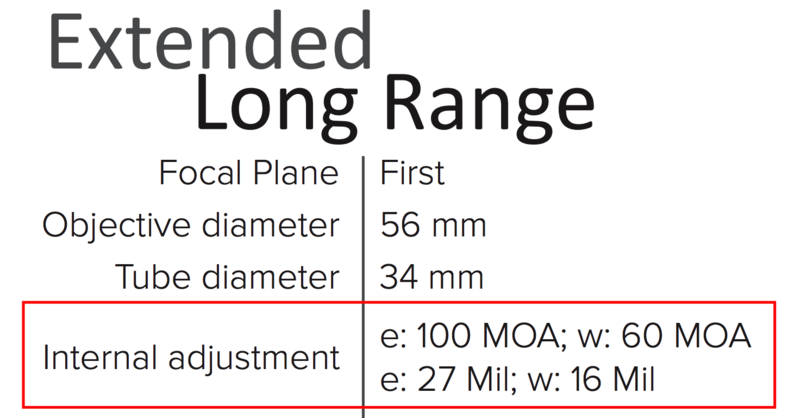 Long Range Optics - What is "Internal elevation adjustment"? What is "Internal elevation adjustment"? Internal elevation adjustment is critical for long-range shooting. You need to have enough internal adjustment range to hit the target at range. 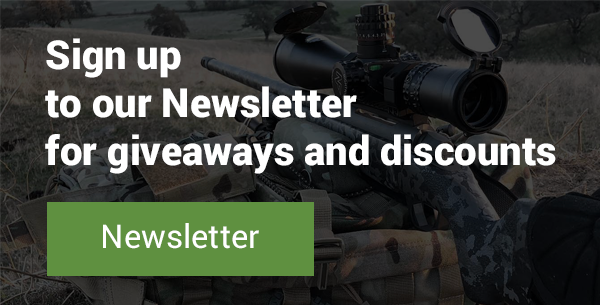 Depending on the caliber and cartridge you have chosen, you will have either a minor or significant amount bullet drop to a distant target, which leads to the need for a large internal elevation adjustment requirement. Most long range cartridges need a wide range of adjustment in order to reach out to distance: the further you go, the more the bullet drop and more of a need for larger adjustment range. This internal adjustment is mechanically organized within the scope design, and usually a larger “tube” diameter is required to give a wider adjustment range. This is why we don’t tend to use a one inch tube for long range rifle scopes, and instead 30 or 34mm tubes. Another consideration is the rotation of the turrets, and ideally you don’t many revolutions of the elevation turret in order to meet your needs. The more revolutions, the harder the scope is to us and the harder it is to recall how many turns you made. Many scopes have markings to show the revolutions, but the more you have to make the harder the scope is to use, especially if the markings are not clear and easy to see in all conditions. Note: When you read about the amount of elevation adjustment available, a good rule of thumb is to halve the value if you redo your scope at 100 yards. So a scope with 80 MOA of elevation available, will only be around 40 MOA from 100-1,000+ yards. There’s not that much of a margin of adjustment for many cartridges, but more is better, and 100 MOA should be the baseline. Ensure that you match the elevation adjustment ability of the scope to your cartridge and expected shooting ranges.